The 6 Worst Things To Say To Your Literary Agent - Writer's Relief, Inc.
A writing conference can be great fun—bonding with other authors, visiting a new locale, attending informative workshops, meeting a literary agent. In this mini-vacation atmosphere, it can be easy to fall into a sense of camaraderie with others. But since many writers meet with their mentors or advocates only once or twice a year at conferences, it’s important to make the most of that time. If a writing conference is your only opportunity to meet in person with your agent, hopefully you’ll have immediate chemistry. After all, you became connected because you both love a certain type of book. You already have a lot in common. That said, it’s important to remember that your agent or editor is a professional acquaintance, not a close friend! “I think I had one too many to drinks!” (And, yes, that typo is intentional.) Having one drink while you’re at the bar chatting with your literary agent is not necessarily a bad idea. Having three drinks may cause a problem. At writing conferences, formalities tend to break down when the bar opens up. But even if others are being liberal in their libations, it’s best to take a measured approach. You don’t want to appear unprofessional. “Let me tell you what I heard about so-and-so.” Never bad-mouth anyone else in the publishing industry, especially not to your agent. Keep in mind that it really is a small world, and you never know who is friends with who. “I’m not feeling very optimistic about all of this.” If you are not excited about your prospects, your literary agent may come to feel the same way. You are the person who is driving your career: Almost everything that happens ripples out from you. It’s okay to express concern about very specific elements of your career; your agent is there to listen and help. But it’s best to leave an agent with a sense of your positive energy about your writing—as opposed to your negative outlook and disappointment. “Didn’t I tell you that I already self-published a new book three months ago?” If you are planning on self-publishing—whether you are self-publishing a book that you one day hope will be picked up by a traditional publisher, or whether you are self-publishing a novella to go alongside another book—you should discuss it with your agent before you put the book out. 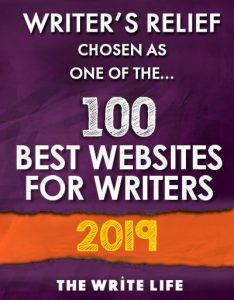 Your literary agent is your partner and will want to be kept apprised of all the elements of your writing career, from awards, to interviews, to new releases! “I would work harder if I were making more money writing books.” The last thing that your literary agent wants to hear is that you became a writer for the money. While the publishing industry does focus on profit, most people do not join the ranks of literary agents, editors, and writers because they are interested in making a fortune. They do it for love. And most of them want to know that your primary goal is to fulfill a passion, as opposed to making a buck. “I’ll do more (fill in blank here) once I can quit my day job.” Most literary agents recognize phrases like this for what they are: not-so-subtle implications that the literary agent has failed to procure for his or her client the coveted lifestyle of a full-time writer. 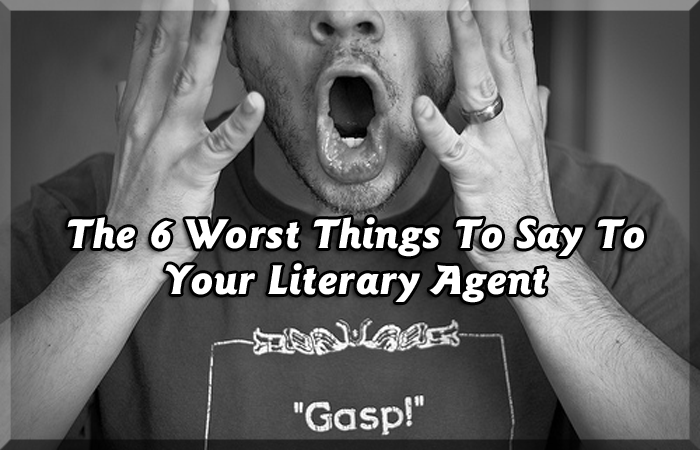 Your literary agent probably knows that you want to quit your day job. There’s no need to state the obvious. 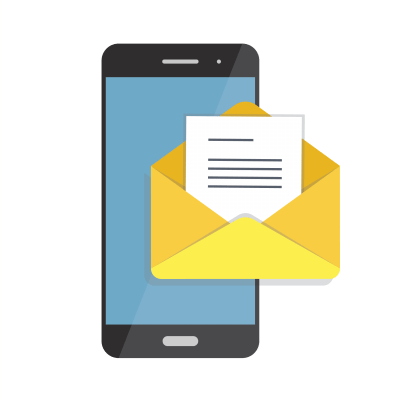 It’s important to have a good relationship with your literary agent, and we hope you will not feel self-conscious or limited in your conversation. Generally speaking, if you stay positive and professional, you’ll be fine! QUESTION: Do you know writers who have good relationships with their literary agents? What keeps those relationships going? I agree. It’s nothing personal just business. Always be kind. A writer’s opening line in a one-on-one guaranteed to make an agent squirm and deny you representation? “I fired my last agent because she couldn’t sell my book.” First of all, an agent is not your employee. You are partners in a joint venture. Treating your agent like she is only there to do your bidding will soon have her waving bye-bye. Secondly, selling your work is never a sure thing. That’s reserved for death and taxes and writers getting rejected. Agents work very hard, she believes in your work or she wouldn’t have taken you on. But truth be told, many books never sell to the major publishers agents work with, especially those by first-time authors. More likely it will be a second or third book that will sell (with one client of mine it was nine). So if you’ve had previous representation but it didn’t go well, just say that. No need to elaborate or cast blame. Better to look forward with a fresh and positive attitude. Perhaps you’ll pitch to me at a future conference – but be sure to avoid all of the above never-to-say things! Heddy Johannesen is correct. It takes far less energy to be kind and accept critique than it does to get angry with anyone. Rejections are the name of the game, and it is best to remember that it’s not personal, it’s business. I enjoyed reading this and I agree with every word. A literary agent rejected my story and though I was hurt yet enjoyed their kind comments and suggestions, I sincerely thanked them. It only takes a moment to be gracious but if you are unpleasant, they remember it forever.